All possible safety risks must be mastered when using gas. It requires great ­expertise, which the Finnish gas detection equipment manufacturer Detector Oy has. Detector Oy is an expert in gas detecting and monitoring with over 30 years of experience. The product portfolio covers extensively gas detectors for toxic, flammable and suffocating gases, including LNG and biogases. Reliable detection equipment helps to safely eliminate explosion, ignition and health hazards. Detector’s mode of operation and the modular structure of the equipment ensure flexible solutions for special gas detecting and monitoring needs, whether the monitoring equipment is mobile, fixed or remote. The expertise of our company is relied upon by large industrial plants, shipbuilders, power plants, hospitals and laboratories, among others, in Finland and abroad. – At the beginning of this year, our entry to the Middle East oil and gas market together with the international giant group NAFFCO, operating in Dubai, was particularly gratifying. Prior to that we already have partners in Scandinavia and other parts of Europe, says Pentti Maunu, majority owner and Managing Director of Detector. 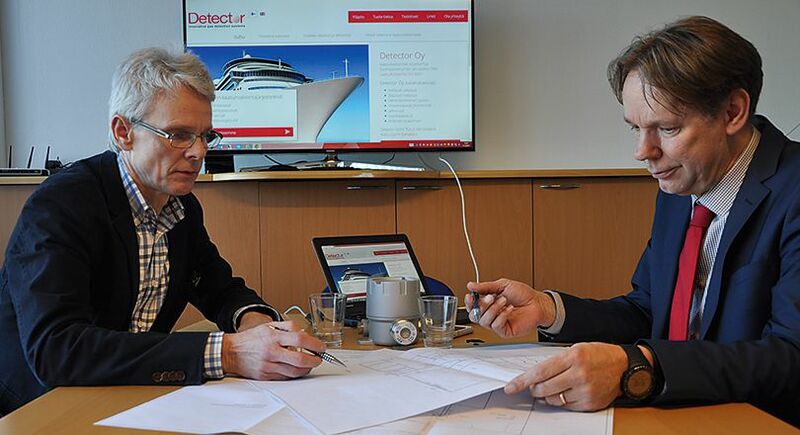 Detector is a fully Finnish-owned company, and its product development and production also take place in Finland. In October, Detector­ received the Turku Entrepreneur of the Year 2015 award for its merits as an enterprise. Competence development has been active throughout the history of the company. The goal has been comprehensive competence in the gas safety industry, from planning and production to installation and service. In recent years, investments have focused on new manufacturing methods, which enable even more customer-oriented and flexible applications.